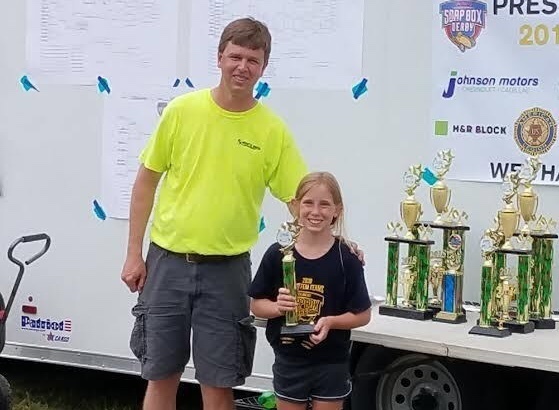 After hard work this school year building soapbox cars during a district after-school STEM program, two Bald Eagle Area fifth-grade students placed third in their division among 39 racers on June 9 at the Soap Box Derby race in DuBois. They were Sybil Thompson from Wingate Elementary School and Connor Smith from Port Matilda Elementary School. Students will be participating June 17 at another race in Bellefonte.